Not to be confused with Governance of Kosovo. 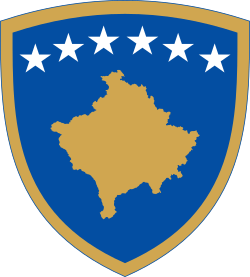 The Government of Kosovo (Albanian: Qeveria e Kosovës; Serbian: Влада Косова / Vlada Kosova), formally the Government of the Republic of Kosovo (Albanian: Qeveria e Republikës së Kosovës; Serbian: Влада Републике Косова / Vlada Republike Kosova), commonly abbreviated to Kosovar Government, Kosovan Government or Kosovo Government (Serbian: Косовска Влада / Kosovska Vlada), exercises executive authority in the Republic of Kosovo. It is composed of government ministers, and is led by the Prime Minister. The Prime Minister is elected by the Assembly of Kosovo. Ministers are nominated by the Prime Minister, and then confirmed by the Assembly. Isa Mustafa is the current Prime Minister of Kosovo and Head of Government. He was elected after the June 8, 2014 elections. 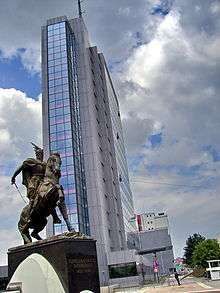 His government consists of Albanians, as well as ministers from Kosovo's minorities, which include Bosniaks, Turks and Serbs.